Companies running SAP get the importance of middleware in connecting applications - but many don't realise that the data in those applications is often insecure. Managed File Transfer provides complete management of file transfers. It ensures that data exchanges within your company and with trading partners are secure from transmission to delivery. 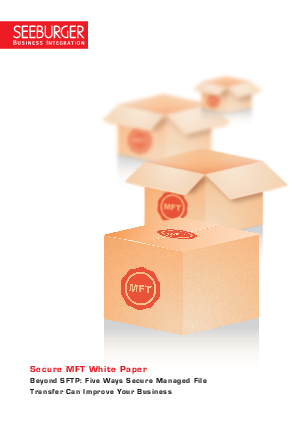 Read the white paper to learn five key ways MFT makes a difference for your business.